If you’re in Seattle this Friday, Nov 3, come see New Felts perform live @ Skylark (facebook event page for more info). We try to feature up-and-coming indie artists when we can and their new track Ritual Man in particular has got that professional sound that deserves radio airtime in our opinion. I previously saw them perform at The Rendezvous back in August. Click that Like button on New Felts on Facebook to hear about upcoming shows and follow New Felts on SoundCloud for future tracks. After weeks (maybe months) of teasing, Linkin Park finally releases their debut single “Heavy” from their seventh studio album, One More Light. The new album will be released on May 19. The new single features guest vocals from Gold hitmaker Kiiara. The band has once again switched their style for the new album. Guest female vocals is something rare for LP, but this song has a great feel to it and is definitely a mainstream radio and pop friendly song, so it should be a huge hit. It’s a different sound, but we couldn’t be more excited for new music and a new album from Linkin Park! Imagine Dragons drops a powerful new track called Believer. Safe to assume this one is a solid warmup for their upcoming third studio album release. You’ll also be able to hear this one during the Superbowl as it will be featured on Nintendo Switch’s ad during the big game. Imagine Dragons recently released their sophomore album Smoke and Mirrors and we wanted to share some of the standout tracks from their album. This first one is one of their harder, heavy hitting tracks called I’m So Sorry. The other track that really stood out (apart from their singles) is a very catchy and fun track called Polaroid. Be sure to check out their album and support them! What year is it? Hard to believe, but Breaking Benjamin is back! One of our favourite rock bands and one of the best live performances I’ve ever seen, this is their debut single from their new upcoming album Before the Dawn. As an added bonus, check out their second single Angels Fall which was JUST released! This is not the Mumford & Sons you’ve heard before. In their new single Believe they depart from their signature folk rock sounds, trading in their acoustic instruments for electric. Not only that, but the song’s written by band members Dwane, Lovett and Marshall instead of the band’s usual songwriter; Mumford. The song serves as the lead single for the band’s upcoming third studio album, Wilder Mind, to be released next month on May 4, 2015. If you’re digging the electric sound of the new single, check out Beleive (The Him remix) on SoundCloud. East Coast Canada’s indie rock pride Joel Plaskett has released his fourth solo album. Plaskett’s an artist we’ve had the pleasure of seeing perform live on several occasions while back home in Halifax and PEI. The title of the album comes from Plaskett’s old neighbour Roy, who called the metal guardrail at the corner of Park Avenue and King Street in Darmouth NS, the “Park Avenue sobriety test” because of how many impaired drivers got caught running into it. The first song off the album we’ve got for you is my personal favorite and the latest single called Credits Roll. You can actually get a free download of Credits Roll on joelplaskett.com if you fill out his fan questionnaire. The second song we wanna feature is the first song that Joel released for the album, and the title track of the album. You can just tell the song is perfect for singing along to at a live concert and Plaskett’s actually been performing it for years. In a well-shot video by Eli Leavitt you can see him performing The Park Avenue Sobriety Test live in Hamilton ON in 2013. And as bonus, just a month ago Plaskett released On a Dime, my 3rd favorite track off the album. J.P. Cormier contributes some East Coast fiddle to it’s pub-folk-rock sound. Others tracks off the album worth checking out is Alright OK (in particular will make longtime fans feel at home), Broken Heart Songs (with a little bit of a country sound while poking fun at country), and Song for Jersey (which you can watch a live performance of Song for Jersey posted by Exclaim! TV). 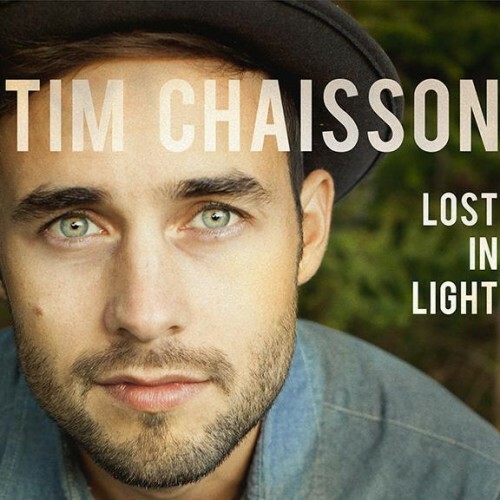 Today is the release date for PEI native Tim Chaisson‘s new album Lost in Light. We premiere’d the lead single for the album; Crushed here in October last year (more info on the album there). The album was successfully crowdfunded on PledgeMusic (which we contributed to of course). You can listen to the album on Spotify embedded below, then please go help support him by ordering the album on iTunes. It’s been awhile since we’ve heard from this Canadian band. I still remember watching their very first music video for Try Honesty in Mitch’s basement. They recently released a greatest hits album, (aptly named) Hits, which also includes two new songs. Kingdom of Zod is one of these new songs and it has a classic Billy Talent sound to it. Enjoy the music video for the track below. Imagine Dragons are back with their first single from the second album, which has yet to be announced. These guys really broke out last year with their first album and monster hits Demons and Radioactive. This is a super catchy song and is going to be another hit for Imagine Dragons. Check it out below.